The Microsoft Surface 2 tablet is not due to go on sale until tomorrow, the 22nd of October, but one UK retailer, Argos, has been selling the tablet before its official release. 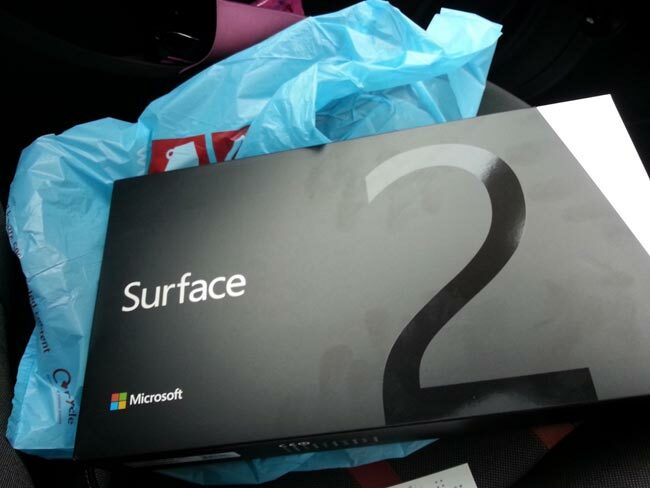 Chris Nelis was able to purchase a new 32GB Microsoft Surface 2 tablet last Friday in the UK, and the guys from The Verge we also able to buy one as well. Argos has now stopped selling the tablet in the UK, after they were contacted by The Verge, and they also released the following statement. The Microsoft Surface 2 is available in an cheaper RT and more expensive Pro version, the models sold in the UK was the Surface 2 RT version. This device comes with a 10.6 inch full HD display with a resolution of 1920 x 1080 pixels and a choice of 32GB or 64GB of built in storage. The device should be available in the UK again from tomorrow, the 22nd of October, although we did hear last week that the US shipment date for the device would be pushed to the 25th of October.